1.In order not to affect the service life of the furnace tube, recommended maximum heating rate and cooling rate are from 10 to 20 ℃ / min. 2. In consideration of the heat-expansion and cold-contraction principle, Please try to avoid the furnace tube touching the high temperature or cool object suddenly. 3. Furnace tube will appear tiny cracks after a period of time, which is normal phenomenon while the cracks will not affect the use, and can be repaired with aluminum oxide coating. 4. Recommended not pass into corrosive gas. If you want to pass into highly corrosive substances such as S, Na, etc., special treatment is needed on the furnace tube. 5. 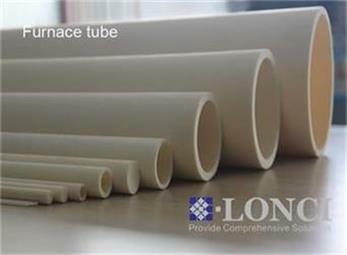 High temperature solution can not be leaked into the furnace tube, While base plate and alumina powder can isolate the furnace tube.